The Royal Ontario Museum is collaborating along side the University of Toronto and Gamercamp, a videogames festival, to host a three day event to get developers to create digitalised games in order to increase interactivity with the exhibitions that take place in the museum. This event, which will take place in August this year, will mainly focus on the development of a digital game that can be used on a mobile phone or tablet device, reflecting the growing importance of mobile phone technology in increasing engagement with culture. After the event, the games created will be tested on users in October and will premiere in November at the Gamercamp festival. The project also assures that the games developers will hold all the rights to the games they come up with, and will therefore be in charge of selling and distributing the games themselves, should they choose to. This demonstrates the honest dedication to innovation which is such an important part of the project; this is not simply a company on a mission to get developers to design a game for them without having to hire anyone and presenting it at as a ‘competition’. The event is known as a ‘game jam’, an event designed specifically for developers to get together and create something innovative in the world of gaming, within a short space of time. 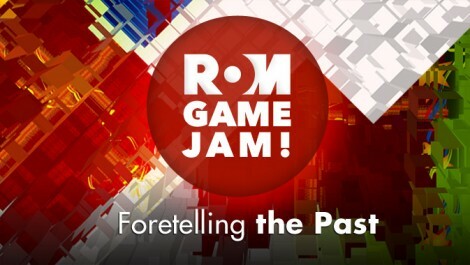 The Royal Ontario Museum game jam will take place between the 9th and 11th of August 2013 at the museum. The Smithsonian American Art Museum hosts a very special exhibition, to explore the forty-year evolution of video games as an artistic medium, with a focus on striking visual effects and the creative use of new technologies. The exhibition features some of the most influential artists and designers during five eras of game technology.